Two long-time pastors, George Affeldt and Earl Jones, retired at the end of March from employment as GCI lead pastors. Pastor George Affeldt retired after 47 years of employment with GCI (plus several as a volunteer). After growing up in Lancaster, CA, George entered the Marine Corp in 1954 where he served four years, attaining the rank of Sergeant before being honorably discharged. Then in 1958, George married Jacqueline (Jackie) Zook. They have been married for 59 years and are blessed with three married children and four grandchildren. Jackie and George at the retirement celebration. Shortly after marrying, George and Jackie moved to George’s hometown, Lancaster, CA, where George was employed in water well drilling, carpentry and maintenance. During that time, George and his father would drive from Lancaster to Pasadena, CA, to attend the Radio Church of God. George was baptized in 1960 in the Lower Gardens of Ambassador College. On the recommendation of friends, and with hope of finding a job, George moved his young family (now including two children) to Pasadena. Unfortunately, full-time employment was not found, leading to 3½ years of working odd jobs. In 1964, George was hired by Ambassador College to work in the Cabinet Shop. He also volunteered to serve the church in festival site preparation, Boys Club, Spokesman Clubs and youth ministry (the latter being one of his favorites). In 1971, George was ordained an elder in WCG and began working in the church’s counseling and guidance department. In 1972 he entered vocational pastoral ministry serving one of the Pasadena area congregations. This was followed by a series of transfers to pastor churches in Indiana, South Dakota and Pennsylvania, and in 1995 back to South Dakota. George retired from full-time GCI employment in 1999, but continued pastoring the Sioux Falls church, at first bivocationally, then as a part-time employee. As shown in the picture below, George’s oldest child, his daughter JoAnn Lagge, has replaced George as the lead pastor of the Sioux Falls congregation. Our thanks to George and Jackie for their many years of service in the employ of WCG/GCI. We wish them all the best in the years ahead! 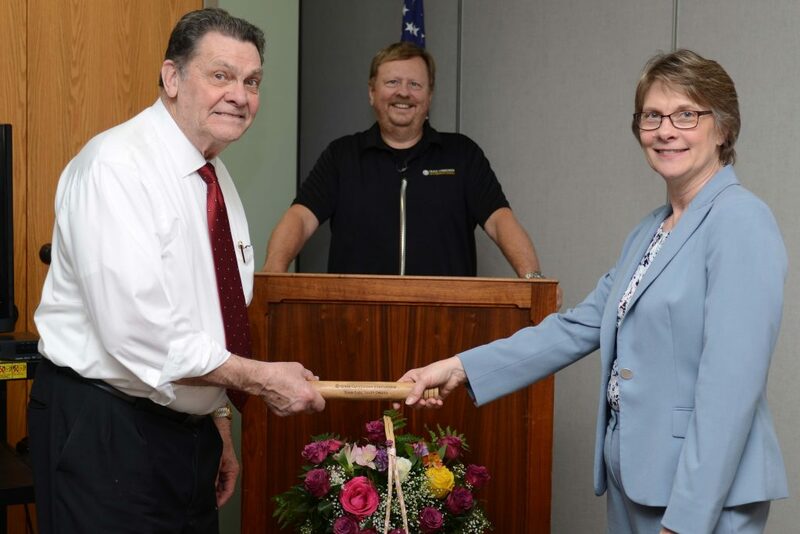 Regional Pastor Rick Shallenberger (center) officiates the “passing of the baton” of pastoral leadership from George to his daughter JoAnn Lagge. Pastor Earl Jones began serving as lead pastor in the Fayetteville, NC, congregation in 2006, replacing Greg Williams who now directs Church Administration and Development. 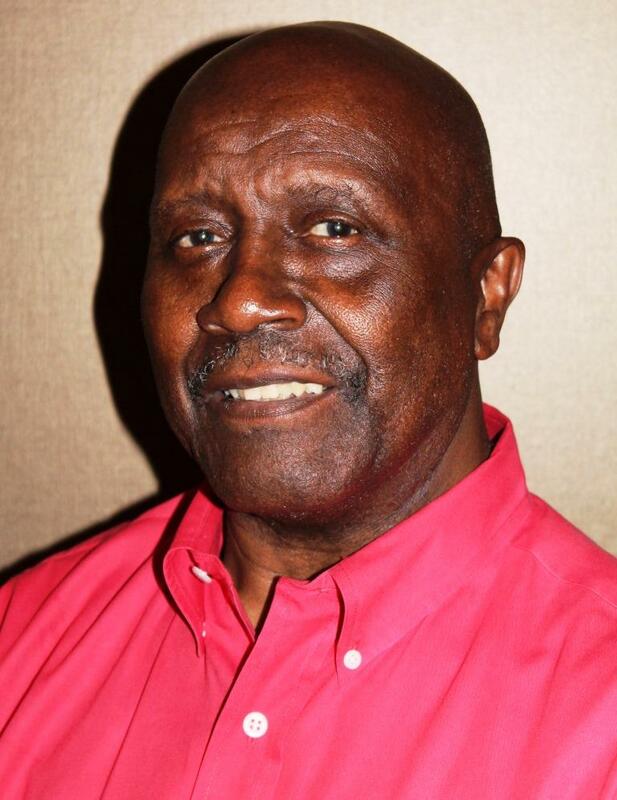 Earl began part-time employment as a GCI pastor following a 25-year career with Ingersoll-Rand. Earl is a graduate of Sandhills Community College and also studied at North Carolina Central University. Before becoming a lead pastor, Earl served within GCI as a small group coordinator, youth ministry coordinator and class instructor. 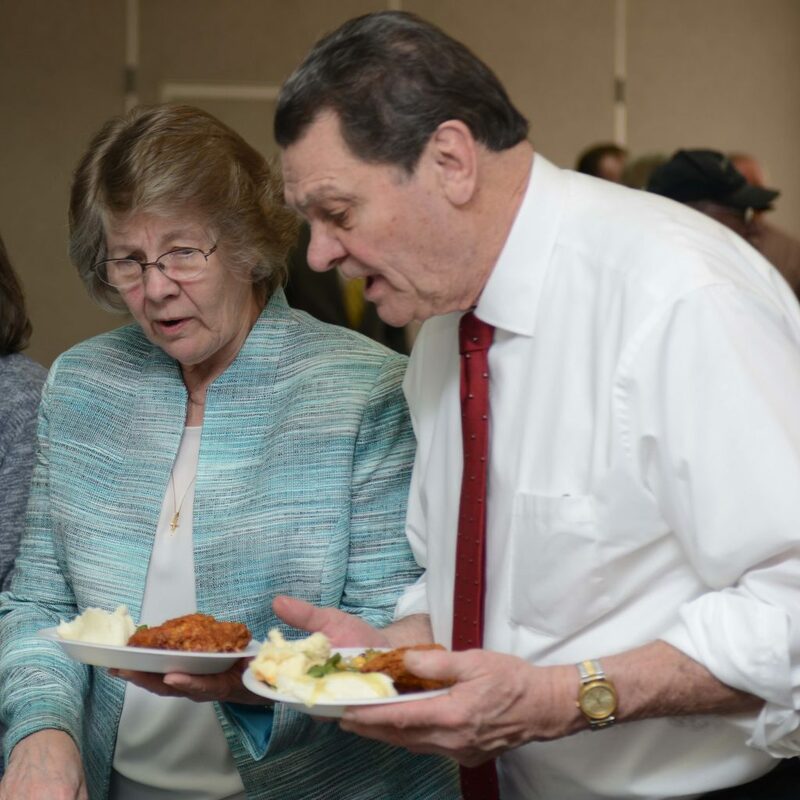 Earl said, “I have been part of GCI for over half my life, and I love being involved in the advancement of GCI and the gospel.” We thank Earl for his service and wish him many blessings in the years ahead. George, Congratulations! Thank you for all the many years of loyal service to the church! Just think how many lives that you have touched for good through your ministry and your example! With deep appreciation. George and Jackie, congratulations on many jobs well done over many years! I first remember you when I worked with Dennis and Max on the Plumbing crew. A lot of water has gone under our bridges, but it has been a very good ride in God’s love and grace. May God continue to bless you both in the years to come. May they be your best years yet! Congratulations on your retirement George. I still have great memories and the pictures to prove it of our time together when you and Jackie, Geri and I were together on the Queen Mary back in the 80’s. You’ve been a wonderful inspiration to us through all these years. With much love you and Jackie have stayed in my prayers. My wife Jannice is from Fayetteville, NC. Congratulations Brother Earl, and may God continue to bless you and your family. Congratulations George to you and Jackie on your many years of service, and marriage. Donna and I remember your example and encouragement when we were first married nearly fifty years ago. We give God praise for allowing our paths to cross in this lifetime. May God continue to bless and direct you in your future endeavors.